As a wedding photographer, properly managing your clients’ expectations is crucial to the growth and success of your wedding photography business, especially when it comes to timeframes. Leading up to the wedding day, you most likely had to follow the clients’ schedule – they selected the wedding date, the time the ceremony would be, and how many hours they wanted to book you for. 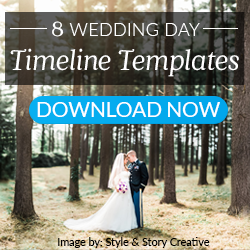 You may have helped plan out the wedding day timeline to ensure there was enough time to take photos throughout the day and to ease the stress of your clients. Everything you do to help your couples prepare for their special day is great and helps build trust, but after the wedding day is when you can really manage expectations in regards to turnaround time. By properly setting realistic turnaround times for your clients, you can exceed their expectations and turn the trust they have for you and your business into loyalty. After the wedding is an exciting time because not only are your clients eager to see one of the most important events in their lives memorialized forever, you are also excited to see the stunning images that you captured and add your Signature Style to them. This is not a phase that you should rush through or spend any less time on. You know how long it takes to get all the images cleaned up and ready for viewing, so it is important that the timeframe you give your couples is accurate and doable on your end. 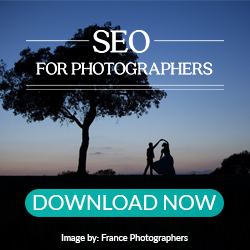 Make sure that you explain a little about the process, so they do not assume that it is as simple as hooking up your camera to a computer and instantly uploading all the photos at once to a gallery. Also, keep in mind that while you want to provide them with a fast turnaround time, you also want to give yourself or a wedding photo editing service, like ShootDotEdit, the time needed to make these photos shine—if you can, set a deadline that you know you can surpass by at least half. Meeting and exceeding client expectations for your turnaround time will have a positive, long-lasting impact on you and your business. 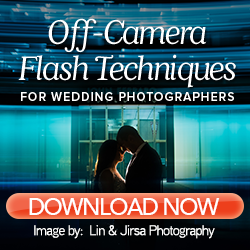 For example, you might inform your clients that their gallery of images will be ready about 4 weeks after the wedding. Breaking it down, it may actually only take 1-2 weeks to have your images color corrected by a photo editing company and then for you to apply your Signature Style to the images and upload them to an online gallery. Everyone loves to be surprised, and by properly managing the expectations of your clients, you can easily promise them a product by a certain time and then exceed the turnaround time! When your clients receive their images ahead of time, they will be overjoyed that you not only delivered quality content as promised, you did it in less time that you guaranteed. This helps to continue to earn their trust and loyalty, as they will see you as someone that goes above and beyond for your clients. Related: How can fast turnaround time create Evangelists? This approach works well for Dallas-based wedding photographer, Kevin Jairaj, who uses the method of under-promising and over-delivering with many of his clients. Kevin explains that this is an effective method of working with clients, because it keeps them happy and increases their trust in you and your brand. When you are constantly performing well and over delivering on your promises, you are earning their trust and loyalty to your brand. And when you develop this trust with them, your clients will be inclined to tell their friends and family about their fantastic wedding photographer, who not only shot breathtaking photos of their wedding, but who also surpassed their expectations with a quick turnaround time. Tip: Setting a deadline that you know you can surpass also gives you some room to work if you encounter any issues throughout post-shoot process. Even though the wedding day is over, this does not mean that the communication should stop between you and your clients – after the wedding is one of the most important times to keep in contact! Send them email updates that let them know what is going on, even if it is a simple, “Everything is on schedule!” You can also surprise them by sending a preview image from their wedding in the email. By having this open line of communication with them and sharing examples of the quality they can expect, you are proving that you are keeping things moving along and will be able to meet the deadline that you promised. Tip: Add to your schedule a reminder to reach out to your clients on a specific day every week. This way they know when they can expect to receive updates from you. Related: Don’t miss out on bookings with 6 tips for better networking communication! Creating clear and real expectations for when you can return your clients’ images is crucial to maintaining a trustworthy brand, and turning the trust your clients have for you into loyalty. Clients are relying and counting on you to be true to your word. If you promised a turnaround time of 3 weeks and they received their photos in 6 (without receiving any updates from you on the status of their photographs), then you will be dealing with clients that are not pleased with the work that you have provided them. The photographs may be incredible, but when the clients’ expectations have not been met, they will focus more on that instead of the images themselves, which breaks the trust you have worked hard to establish. Remember, when setting these expectations, you need to be sure that you can accomplish what you set out to do. If you find that you can’t, it is crucial that you update your clients as soon as possible with a new date and a valid reason as to why you need more time. However, if everything is moving along at the right pace and you have set aside the necessary time, you should have no problem impressing your clients with a stellar turnaround time! For more tips and advice on setting realistic turnaround times for your clients, download our guide, The Guide to Content Marketing for Wedding Photographers.